removing many zings and door dings prior to paint. Drivers side and engine bay picture after paint. Front bumper & grill after painting. After results of stainless Borla exhaust polishing detail. Before shot of removed Borla stainless exhaust for polishing detail. 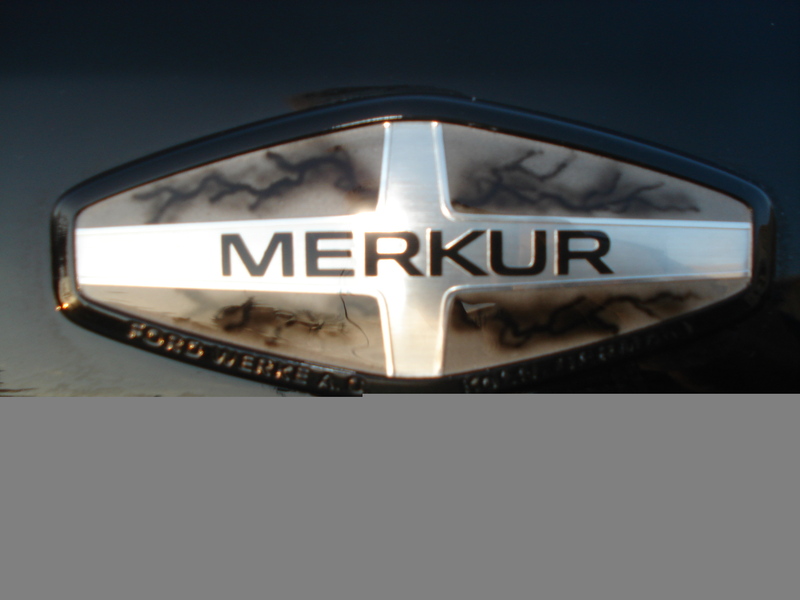 One of a kind MERKUR Emblem for Black Diamond! Larger front rotors coupled with dual piston calipers to put a stop in things!